Gruen Associates was the Design Architect for a $40 million, 244,021-GSF project, which consisted of a 108,163-SF, 13-story residential tower with 80 condominium units, three live/work units, a club room, fitness center, swimming pool and roof deck. The tower sits on a podium of four levels of parking and is designed with different façade expressions to reflect the varied site context. 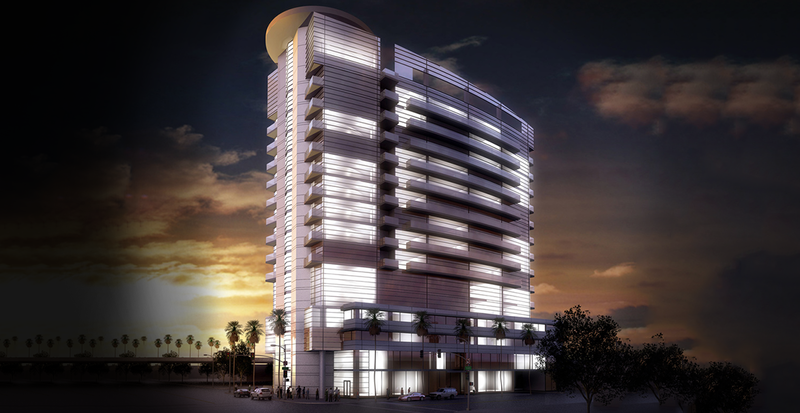 The project is adjacent to the iconic Capitol Records Building.